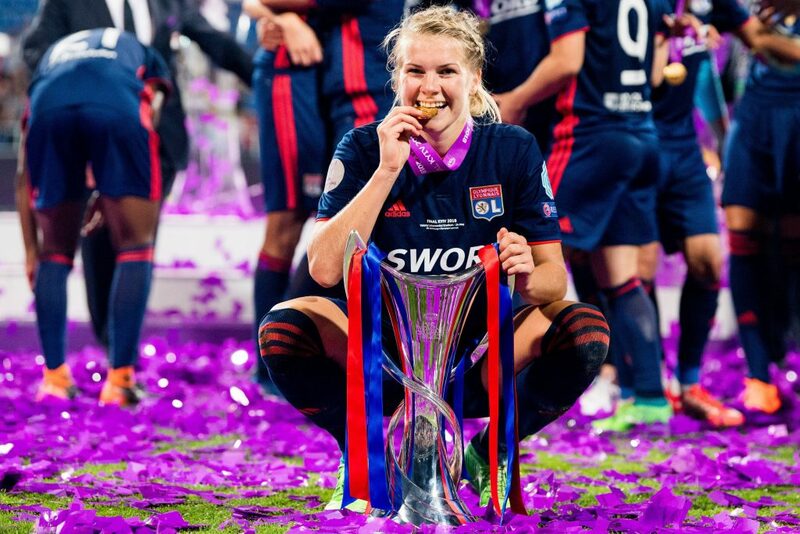 Norwegian striker Ada Hegerberg has signed a two year contract extension at Lyon that is believed to make her one of the best paid players in the world, REPORTS KIERAN THEIVAM. Hegerberg, who has had a sensational year in winning the French D1 title and the Women’s Champions League with her club, has signed a deal that will see her committed until 2021. The 22-year-old scored 53 goals across all competitions this year, which included a record 15 in the Champions League this season, breaking her own record of 14 that she jointly held with Germans Conny Pohlers and Célia Šašić, and Iceland’s Margrét Lára Vidarsdóttir. Since announcing last year that she would no longer be representing her country following a disappointing European Championships in the Netherlands, Hegerberg’s form has reached another level, and she is now established as one of the world’s best forwards, which is acknowledged by the contract with Lyon. On her new contact, she said: “For me it is important to be in a club where I have the best conditions to develop my football skills. At the moment that is at Lyon. “It is all about development. I will have a short holiday now and then I will follow my traditional procedures and evaluate last season, plan training for the summer and do some thinking about what kind of challenges I will meet next season. 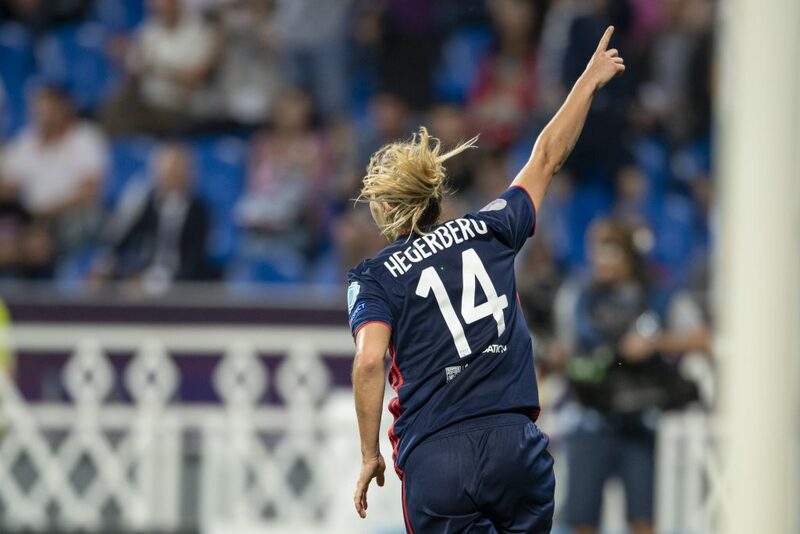 Hegerberg will no doubt have been in demand if there were any doubts about her future with the French champions. She Kicks understands that rivals Paris Saint Germain were interested in uniting the striker with sister Andrine, but Ada stated there was never a chance of her leaving. Alan Naigeon of A&V Sports, the agency representing Hegerberg, added: “Ada is the most dedicated and ambitious women’s footballer I’ve ever seen. When Lyon reached out, she approached the process the same way and was dedicated to get the best, which is what she got.